In my life, I've always been a person who loves baths, scents and baking, and when I found out that Laura Mercier had a product that combined all three in the form of their Creme Brûlée duo, I jumped at the chance. Before now, I'd only ever really tried a couple of products from Laura Mercier, and although I was impressed I just never seemed to gravitate back towards the brand - all that has changed. I received the Laura Mercier Sweet Temptations Creme Brûlée Duet as a gift from my Granny this past Christmas, I don't tend to indulge in more expensive bath products and so this really was a treat to me. 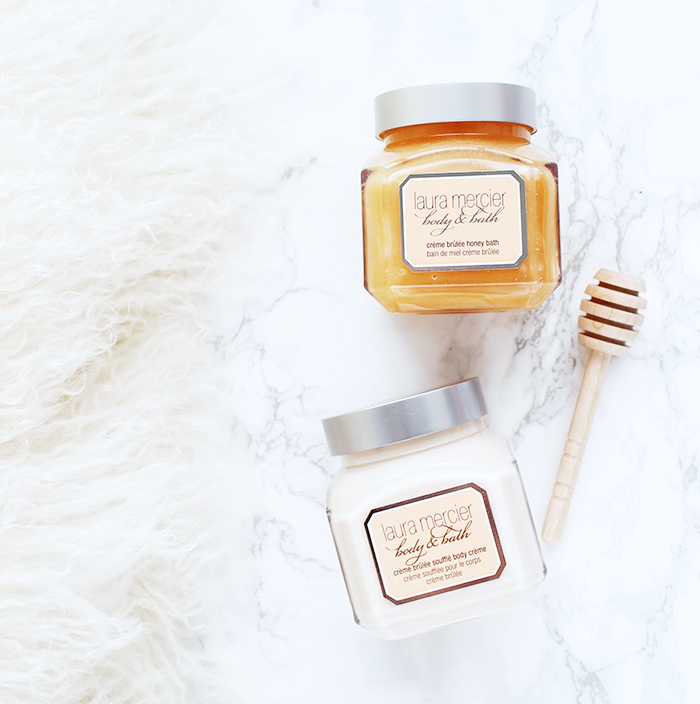 There are two products included in the set, their Souffle Body Creme alongside their Honey Bath, both scented with the delicious smell of freshly made creme brûlée. 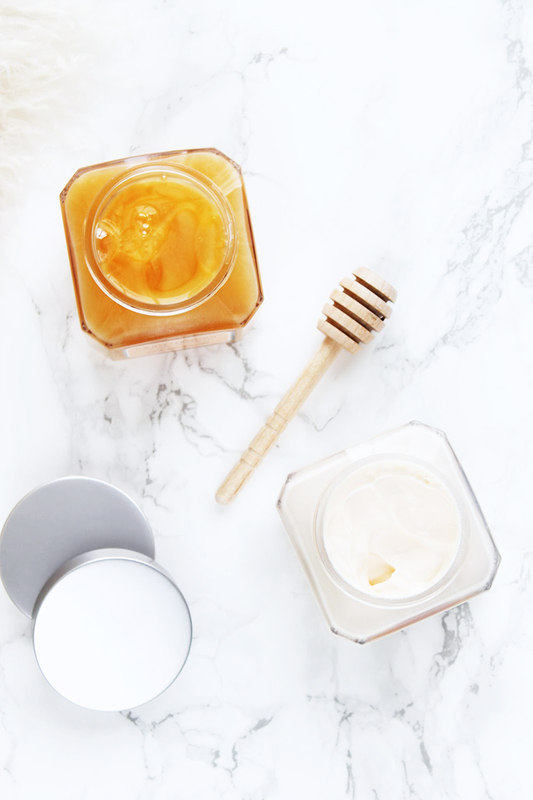 What I love about these products is the immediate effect they have on the skin; the honey bath feels so luxurious when melted into the water of the bathtub, and you really can feel it softening and smoothing the skin in the most relaxing way possible. The body creme is equally as great, and it soaks into the skin like a dream, without leaving that sticky film over the body - I'm sure we've all experienced the dreaded, post moisturising pyjama pant palaver. Now, I'm not picky over body moisturisers at all, but one thing I do look for is a formula that soaks into the skin quickly, and without fuss - so I'm pretty chuffed! But with saying all of that, there is one standout feature of this dream duet, that being the longevity of the scent. I had a shower one morning before college and afterwards, I went ahead with my usual application of the body creme. Hours later I could still smell the creme, and a couple of my friends even asked what perfume I was wearing - it's that good. So not only is this product a super skin saver, but it also doubles up as a body scent, what more could you want? After using this product for only a short while, I've seen such an improvement in my skin in the sense that it never seems to feel dry anymore - and that's impressive for the winter time! Sadly, I believe the set itself was limited edition, however you can buy both products separately - perfect for someone who may not own a bath, or just wants the body creme. Have you tried any Laura Mercier bath products?